An interesting airforce in Eastern Europe is the AF of Czechia. A project was initiated by the Special Interest Group Eastern Europa of IPMS The Netherlands. 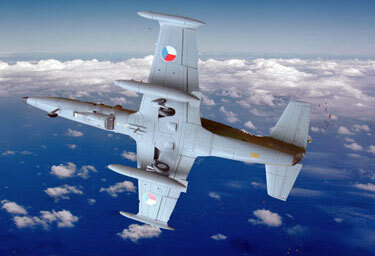 A number of typical aircraft in service were displayed at the Euro Scale Modelling Event 2005 in The Netherlands. Starting in October 1918, small air components in the Army were formed in Czechia. The Army Air Force expanded rapidly to become a large and well equipped force and was so in 1938. However, due to various reasons Germany annexed the country. Some people escaped to join the Polish and French air forces and also later to England to join in the Battle of Britain. 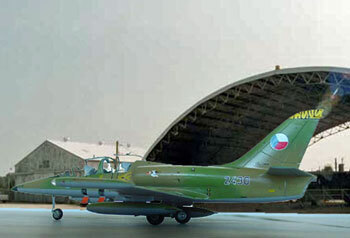 After the war, a new Czechoslovak air force (Ceskoslovenské Letectvo) was formed of both Czechia and Slovakia, using various equipment and aircraft. As the Communistscame in during 1948, the iron curtain was raised and the Czech air force was re-organised along Soviet lines with Russian combat aircraft delivered. 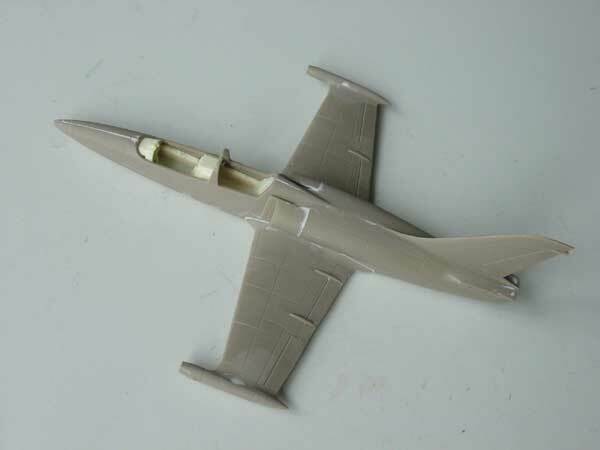 The first MiG-15 jet fighters were received in 1951. 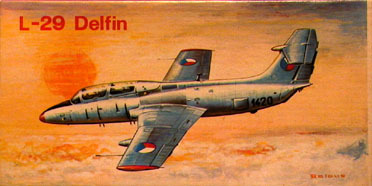 During the Cold War, the AF was equiped with significant numbers of aircraft and many types such as the Mig-17, Mig-21, Mig-23. 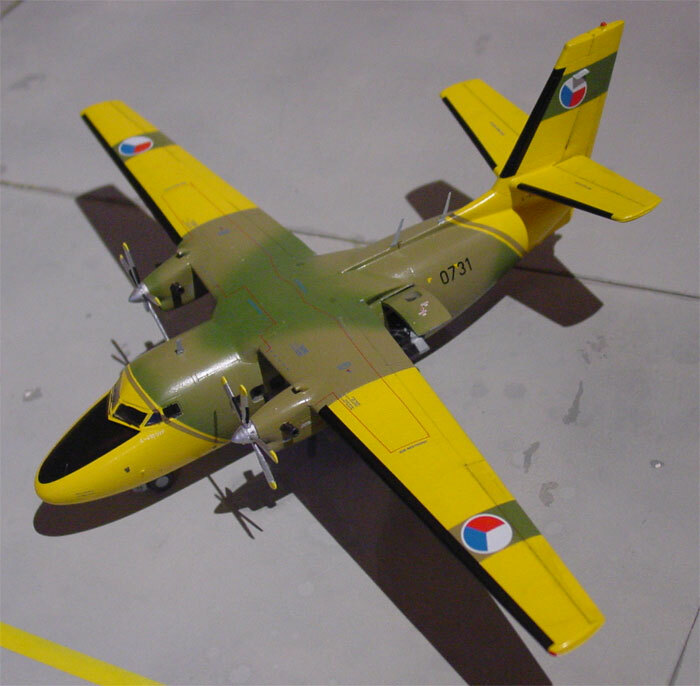 Also, various domestically developed aircraft from Aero were put into service such as the Aero L-29 and L-39 trainer aircraft. During the change of power in middle Europe with the changes in the Soviet Union and Glasnost, in 1993, Czechia and Slovakia obtained more freedom and were split and reshaped into a democratic countries. The existing air force (Ceskoslovenske Vojenske Letectvo) was divided up in the ratio two to one in favour of the Czech Republic, based on population ratio, except for the MiG-29s which were divided equally with the Slovak Air Force, and the MiG-23s which all went to the Czech Republic. Saab Gripens were also later put into service, an example of the drive to become a modern AF. 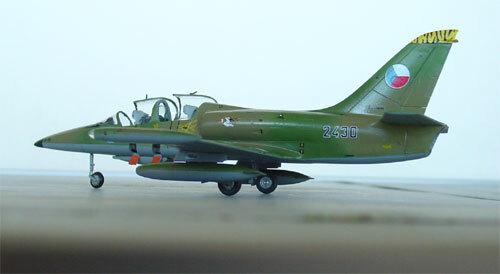 Excellent Czech decals were used from PROPAGTEAM in this project. 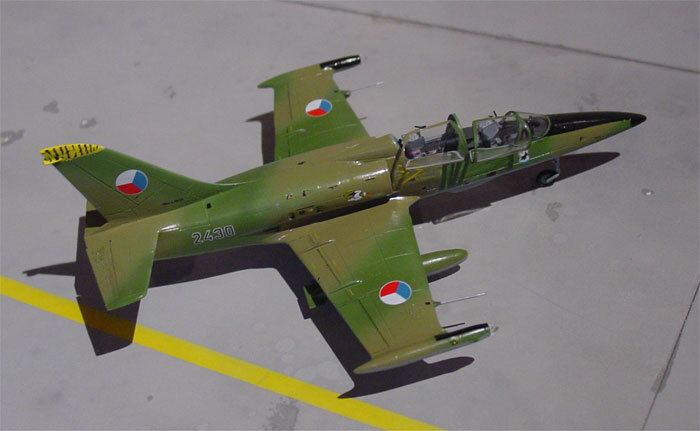 This dual jet trainer and light attack jet aircraft was widely used. 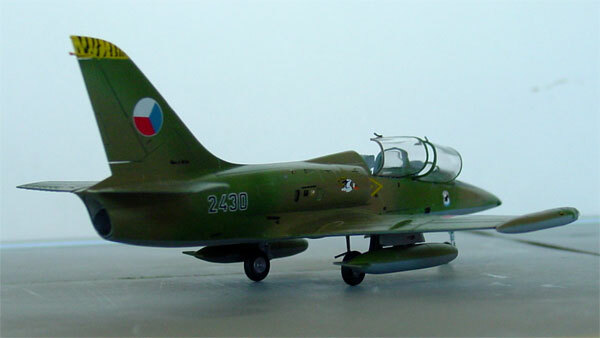 The L-39 is a basic and advanced jet trainer that served as the standard jet trainer for former Warsaw Pact countries. It has also been exported. 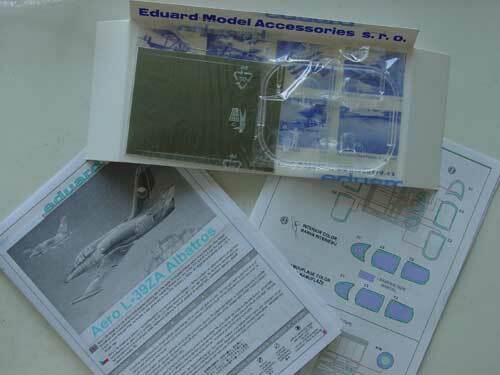 The 1/72 kit used is from Eduard #7041. 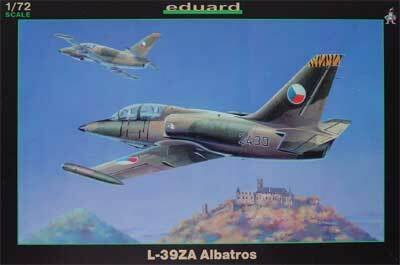 It is a nice kit with very fine engraved panel lines. 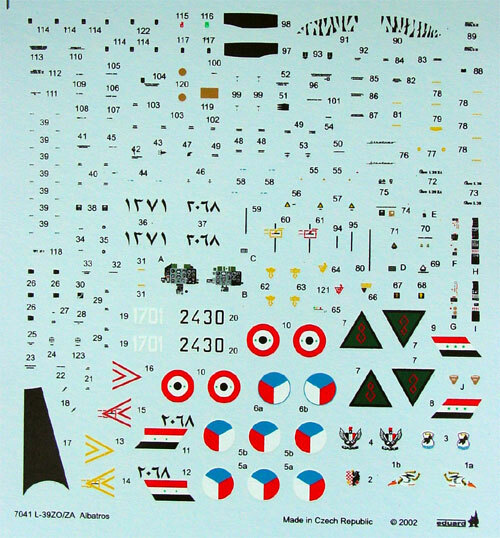 The decal set is very extensive with many many stencil markings and export schemes (including Iraq, Syria). I used a PAVLA resin cockpit set #72025 to improve the cockpit interior. This did not fit entirely as the width is slightly too large. 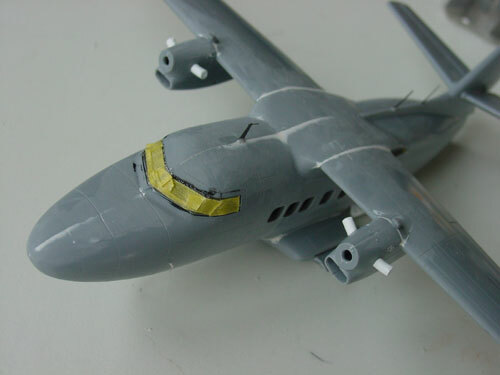 I thus added a small plastic strip between the fuselage halves and sanded smooth. The only parts needing attention are in air intakes, do not mix them up! Otherwise, no problems arised with this kit. Eduard colour instructions are a bit vague. 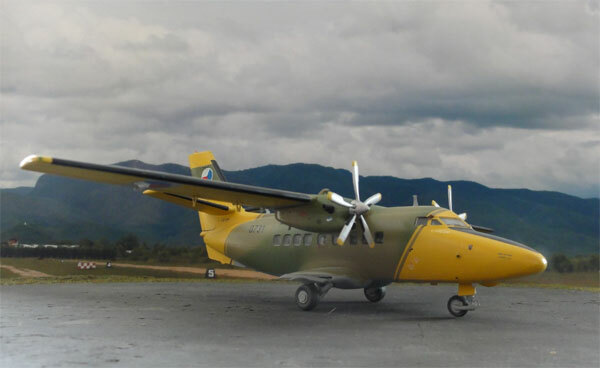 I used Xtracolor X119 sandgreen, Humbrol HU120, Humbrol Dark green HU105, and HU128 for the light grey lower area for the Czech aircraft. 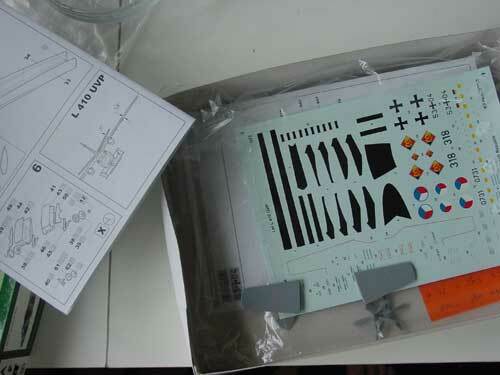 The kit comes with a canopy masking set (that I did not use). 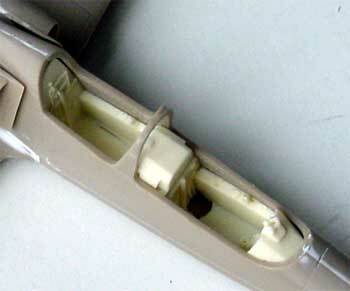 The PAVLA detail set comes with nice seats and cockpit details such as the instrument panals. Kit decals are provided for 4 schemes. 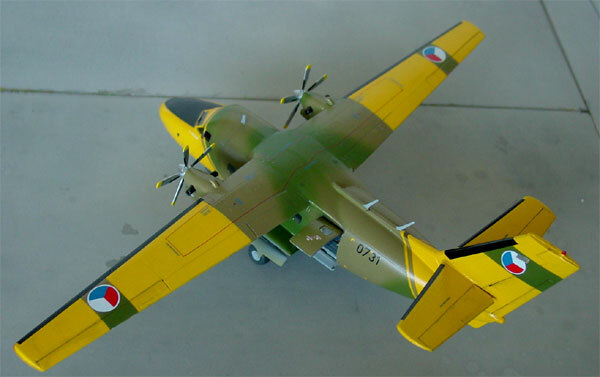 The ones used has some "tiger" markings and represents an aircraft of 11 fighter regiment at Zated Air base, 1991. 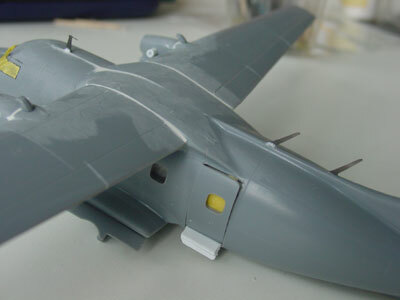 After decals were added, the model got a coat of semi mat varnish of Johnson Future with some Tamiya matting agent. 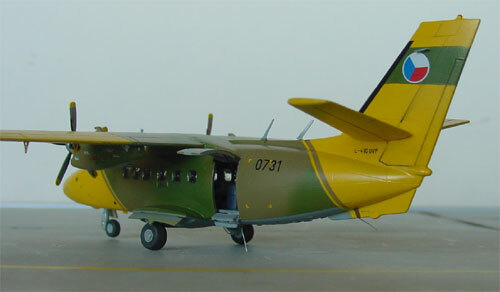 This light twin turbo transport plane was and is widely used in (former) East Block countries. 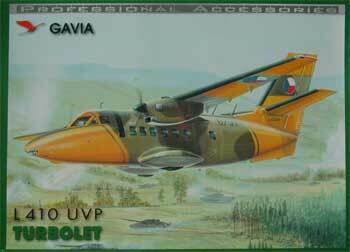 GAVIA from Czech Republic came with a good 1/72 kit although it is a bit expensive. You get also some tiny etched metal parts. 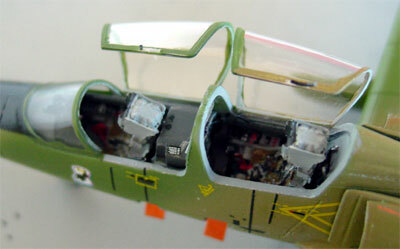 The UVP inspection plane kit was obtained, but the kit has an interior for a passenger version. 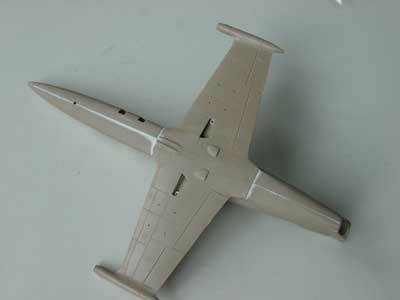 You need to add a spar for strength and also some putty is needed in areas. 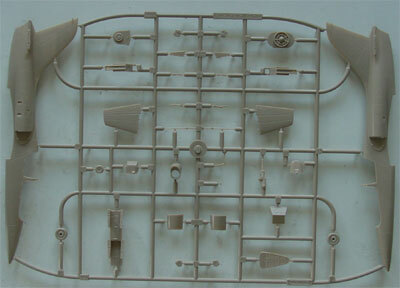 But nothing that can not be done by the modeller. 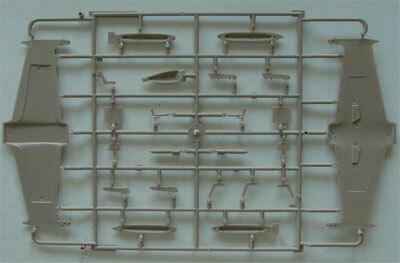 The kit windows can be used, but I choose to used MicroScale Klear at later stages after painting instead. 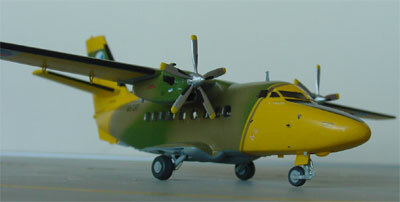 This enables applying the camouflage paints without carefull window masking required. This scheme also has very nice yellow areas. The kit scheme thin stripes along the yellow areas are not supplied as decal, I simply sprayed spare decal stripes in the camouflage, cut them out and added these. Finishing and assembly gave no problems. 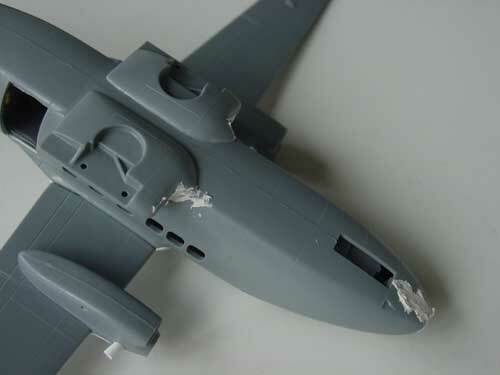 I applied sawed gaps along the flying surfaces; the flap fairings required carefull attention as they are breakable and thin made from etched metal. The painting was done used matt yellow first for the various areas. Camo was made with light grey Humbrol HU28 lower area, HU195 khaki, HU159 green and HU154 yellow. After painting, cabin windows were made with Micro Kristal Klear. 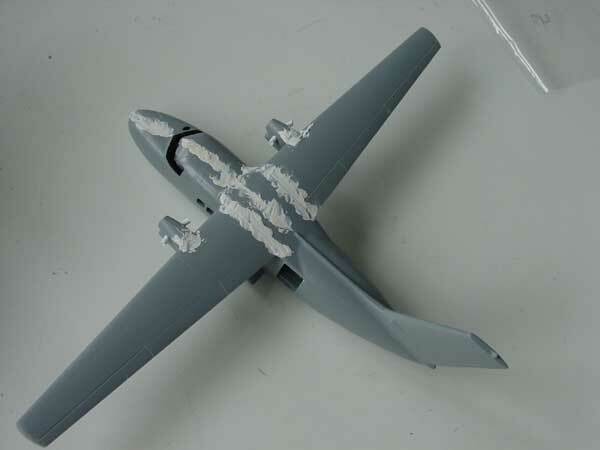 The model needs some "help" to keep it standing on its nose wheel. I added a very thin adjustable metal rod aft to achieve this. Also note the upper hinged rear cabin entry door.